This vintage ceramic Fiesta brand pitcher was produced by the Homer Laughlin China Company of Newell, West Virginia. Their line of glazed dinnerware was introduced in 1936. 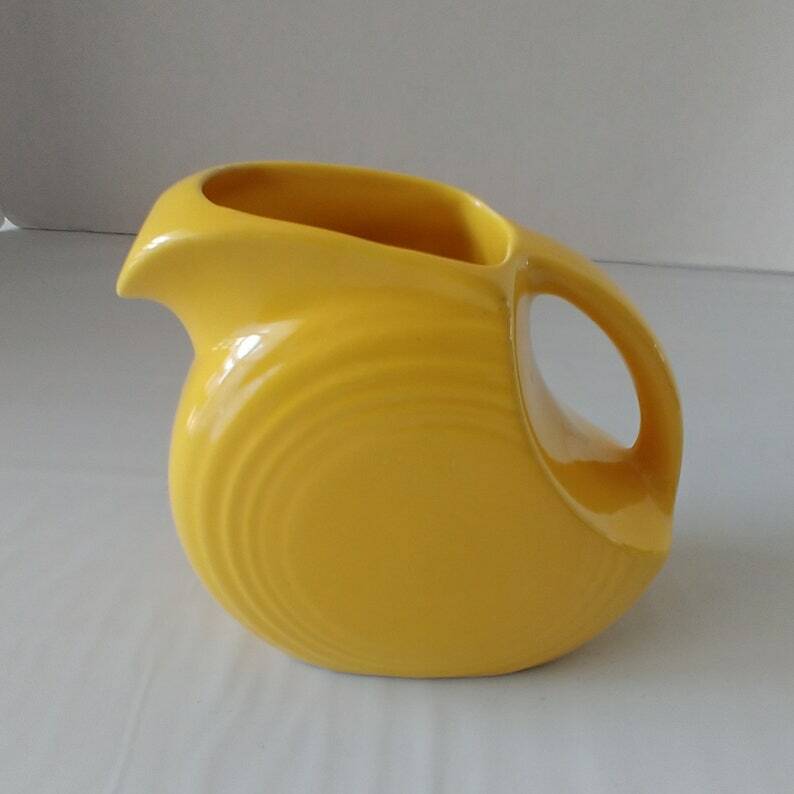 This yellow pitcher holds 24 fluid ounces and stands 6 inches tall. It is 6.5 inches wide. This vintage piece has the Fiesta imprinted maker's mark in circles on the bottom along with the HL logo and "Made in U.S.A."
CONDITION: This piece is in great condition with only one small chip on the top of the spout (see in the photo). Window Shopping by Pamela Towns, Art print of an original mixed-media abstract collage.